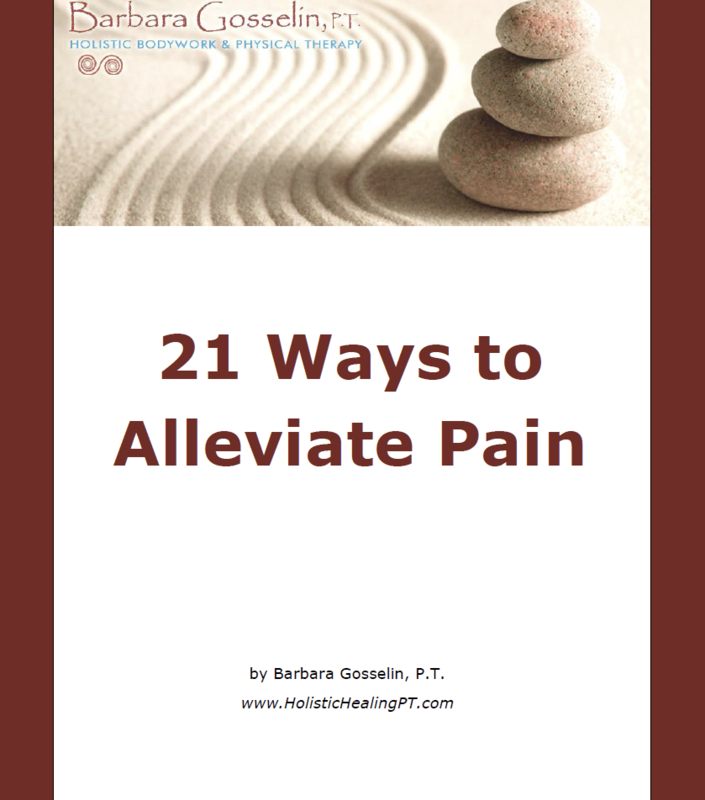 21 Ways to Alleviate Pain – Barbara Gosselin, P.T. This eBook, 21 Ways to Alleviate Pain, contains a wide variety of techniques to alleviate pain that I have learned and practiced over the last 25 years, both from my own experience dealing with pain, as well as my work as a Holistic Bodyworker and Physical Therapist, helping clients recover from pain. From mindset shifts, to relaxation techniques, to postural suggestions, to when to use heat or ice, this eBook contains something for everyone.